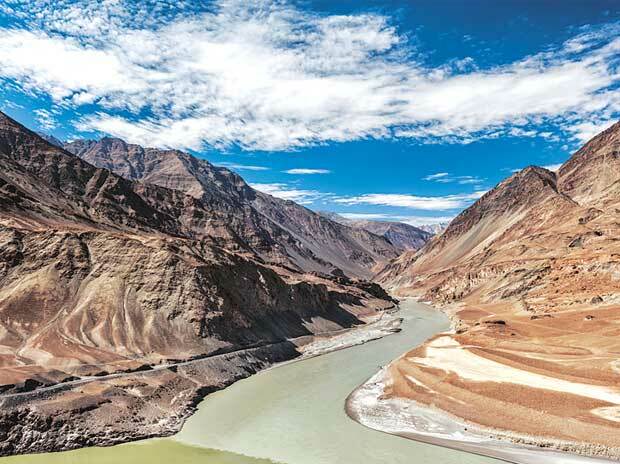 India and Pakistan on Wednesday commenced crucial talks on various aspects of the Indus Waters Treaty in Lahore, the first bilateral engagement since Prime Minister Imran Khan took office. The first round of the two-day meeting is being held at the National Engineering Services Pakistan. The water commissioners of Pakistan and India are required to meet twice a year and arrange technical visits to projects' sites and critical river head works, but Pakistan had been facing a lot of problems in timely meetings and visits. The Indian side is being represented by a delegation of the Indian Water Commission led by Commissioner P K Saxena whereas Pakistan Commissioner for Indus Waters Syed Meher Ali Shah and his delegation are representing Pakistan, it said. Both the countries are expected to present their reports during the talks. After the meeting, a joint notification would be issued. On Tuesday, Shah and additional commissioner Sheraz Jamil received the nine-member Indian delegation led by Saxena on its arrival here via Wagah border. The talks will be the first official engagement between India and Pakistan since Khan became prime minister on August 18. The last meeting of the Pakistan-India Permanent Indus Commission was held in New Delhi in March during which both the sides had shared details of the water flow and the quantum of water being used under the 1960 Indus Waters Treaty. India and Pakistan signed the treaty in 1960 after nine years of negotiations, with the World Bank being a signatory. The treaty sets out a mechanism for cooperation and information exchange between the two countries regarding their use of the rivers. However, there have been disagreements and differences between India and Pakistan over the treaty. Shah on Tuesday said Pakistan has raised objections on 1000MW Pakal Dul and 48MW Lower Kalnai hydroelectric projects on River Chenab and a detailed discussion will be held during the talks. "We had also raised concerns over construction of dams on Pakistani rivers and India did not bother about it and continued doing the same," Shah said, adding India will reply to Pakistan's queries on controversial water projects. Former Pakistan Indus Water Commissioner Syed Jamaat Ali Shah said that the successive Pakistani governments had given much importance to its water disputes with India. "India does not bother Pakistan in this regard. It begins work on building hydro power projects on the Pakistani rivers and the Pakistani government raises objections afterwards. Unless the Pakistani government seriously takes up these matters with India it will not get relief," he said and added that Pakistan also needs to plead its case in the World Bank. According to an official of the Pakistan Water Commission, Pakistan has been raising reservations over the designs of the two projects - 1000MW Pakal Dul and 48MW Lower Kalnai hydroelectric projects on River Chenab - and would like India to either modify the designs to make them compliant to 1960 Indus Waters Treaty or put the projects on hold until Delhi satisfies Islamabad. "The two sides will in talks also finalise the schedule of future meetings of the Permanent Indus Commission and visits of the teams of the Indus commissioners," the official said. Pakistan has also challenged the discharge series of River Lower Kalnai at Dunadi for winter months and estimated permissible pondage of 0.38 cubic megametres compared to Indian design pondage of 2.74 cubic megametres. The Lower Kalnai project is on a left bank tributary of Chenab and can have gross storage of about 1,508 acre feet of water.